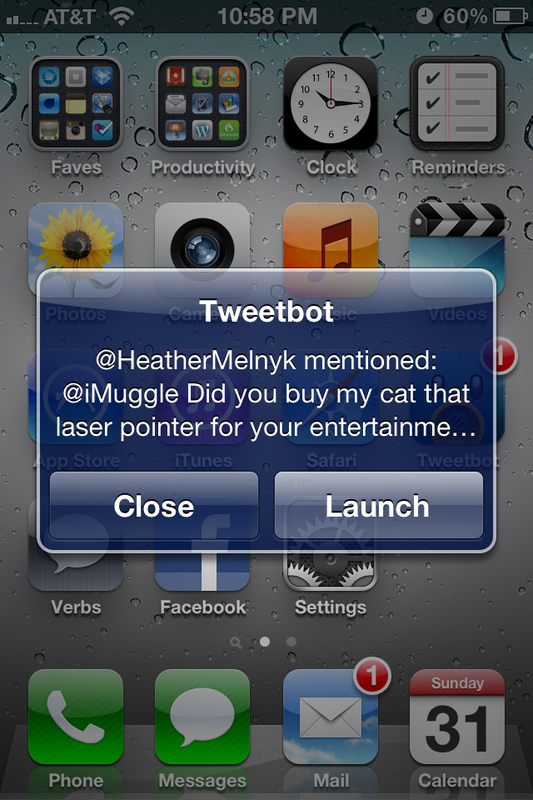 Using Tweetbot and wondering how to enable the recently added experimental push notifications? Tapbots just recently opened up tons more slots in the beta program so if you haven't enabled it, there's still a good chance you can snag a slot. The most common question I've been getting is how to enable push notifications. 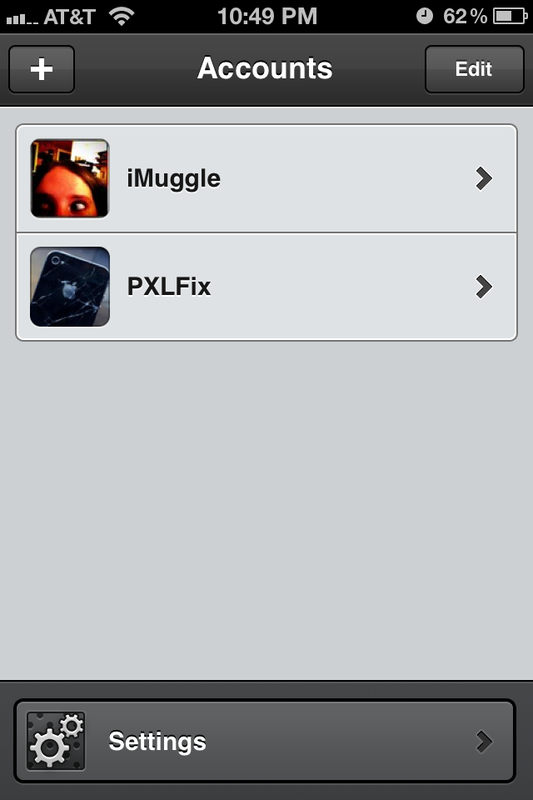 Although Tweetbot is a gorgeous Twitter client, the push settings are in a bit of a weird place. 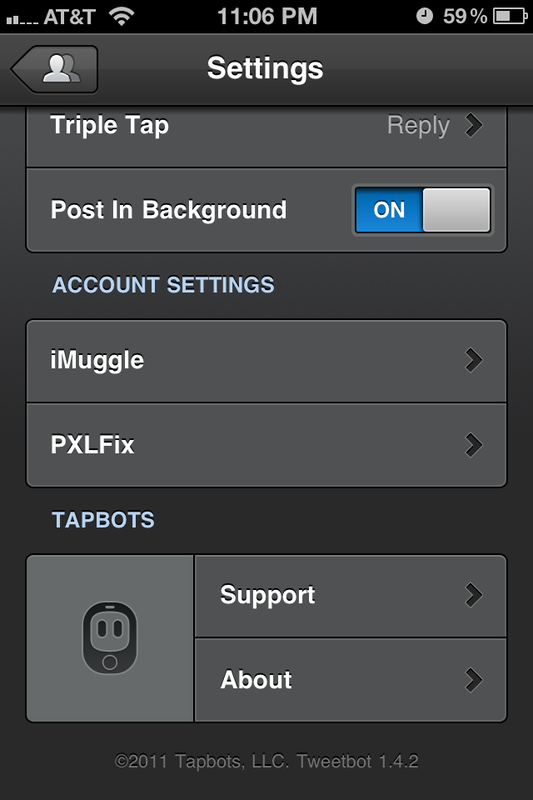 Follow along for a quick guide on how to try and activate push in Tweetbot. 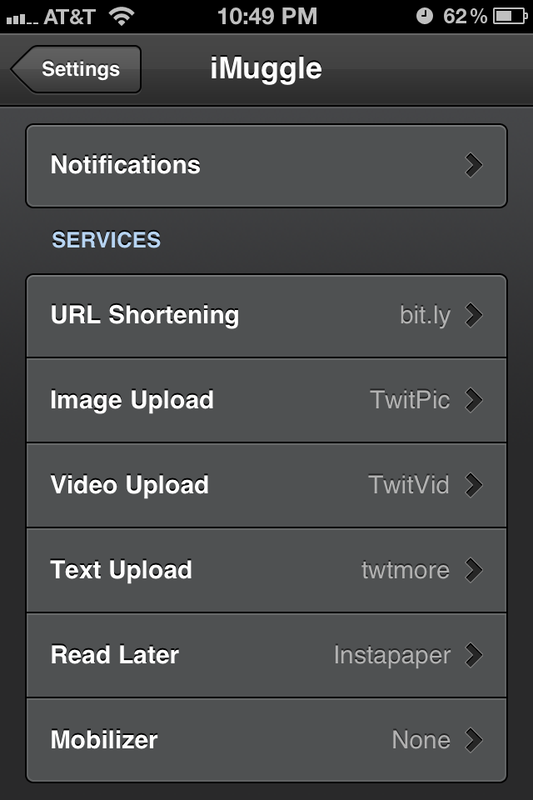 First launch Tweetbot and click the account icon in the upper left hand corner of your timeline. 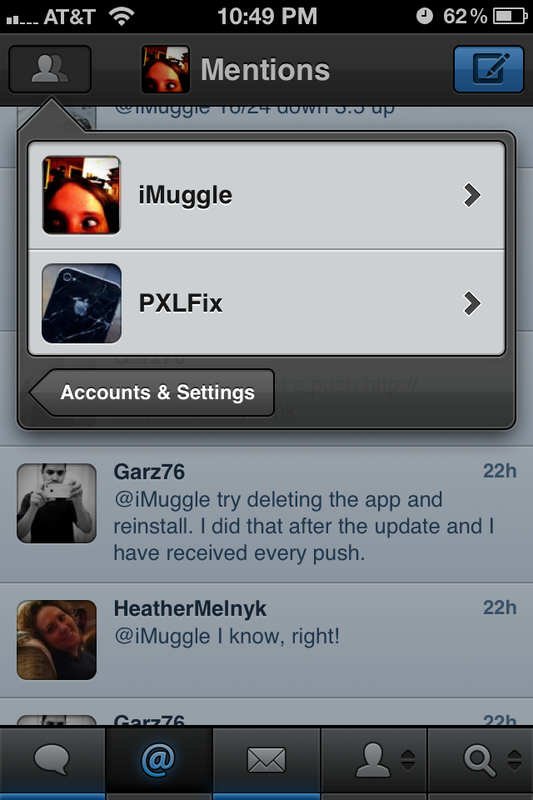 Then tap Accounts & Settings. You will see a page that lists all your accounts. Tap Settings at the bottom. From the next screen select the username you'd like to try push notifications for. Now select Notifications at the top. Simply turn on the switches for each type of notification you'd like and your'e done! 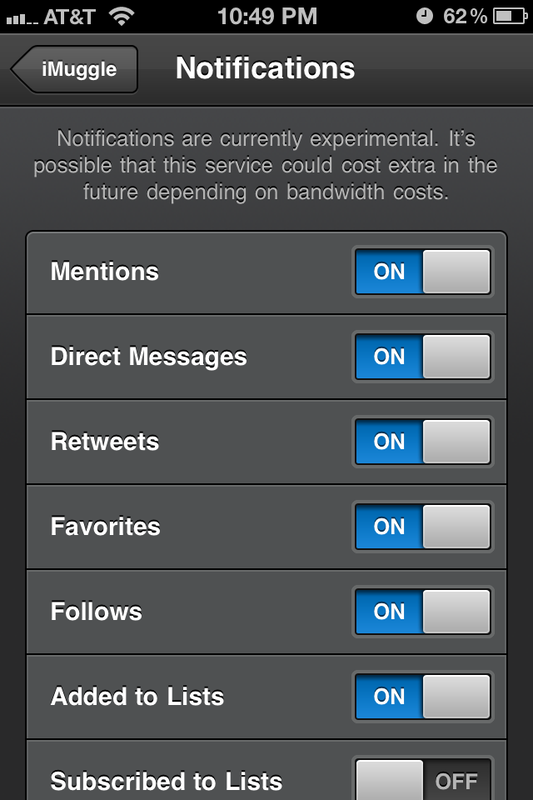 If notifications don't work for some reason, make sure you have Tweetbot push enabled from your general iPhone settings under Settings and Notifications. As a side note, Tweetbot push is still experimental and they are only allowing so many users at one time. Most people seem to be getting it to work but if you get an error message, the testing slots could just be filled. Keep trying to turn them on occasionally to see if more testing slots have opened. Hopefully push will be available publicly soon!